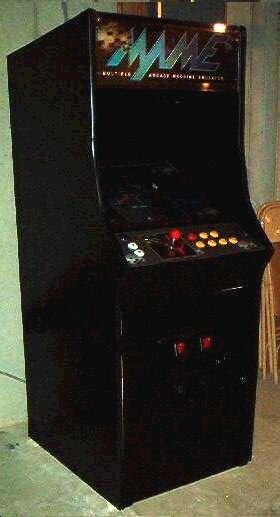 The latest revision of this cabinet is modified to run completely from a Raspberry Pi Model B. 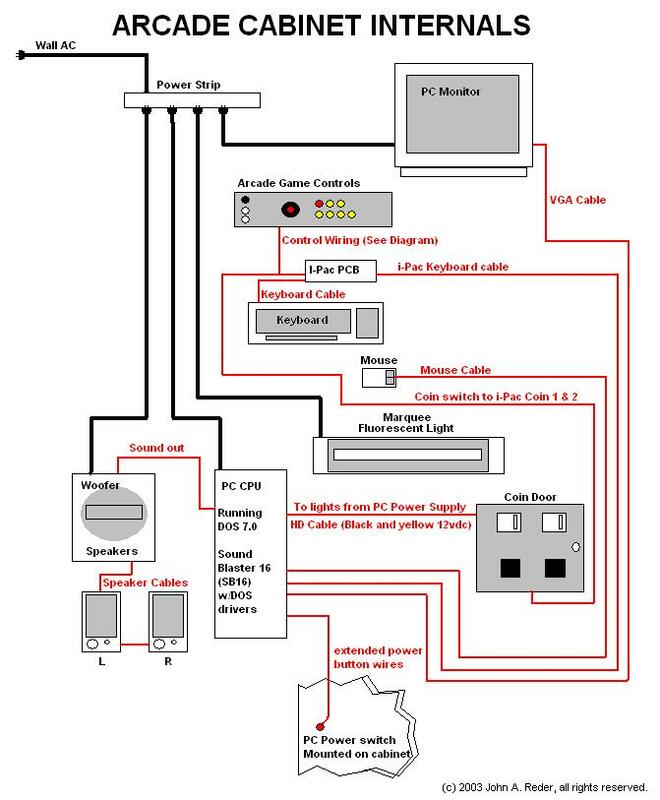 * Removed the 133Mhz Pentium with a Raspberry Pi Model B which boots up within 20 seconds to its menu. 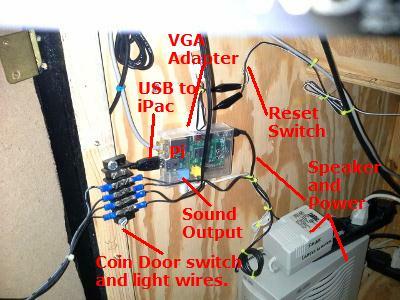 * Added a cable that converts the HDMI output to a Standard VGA Cable. 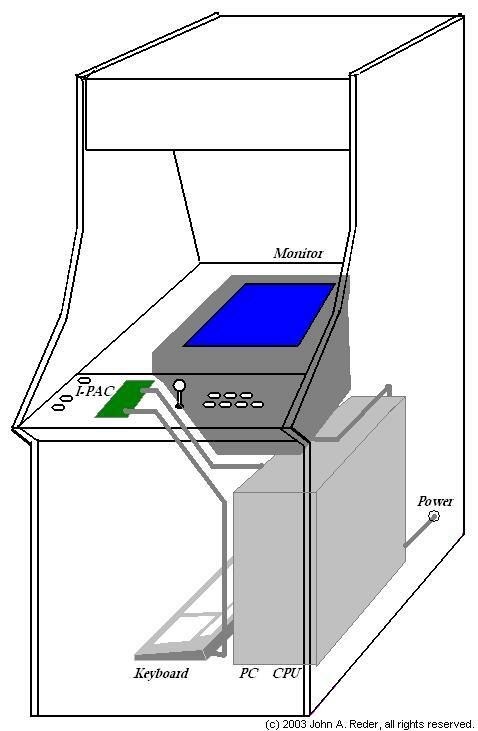 * Purchased and installed the USB cable that is sold with the iPac keyboard controller (I had initially used a PCI to USB cable but found that the iPac buffering features were not present, making the games a little less responsive). 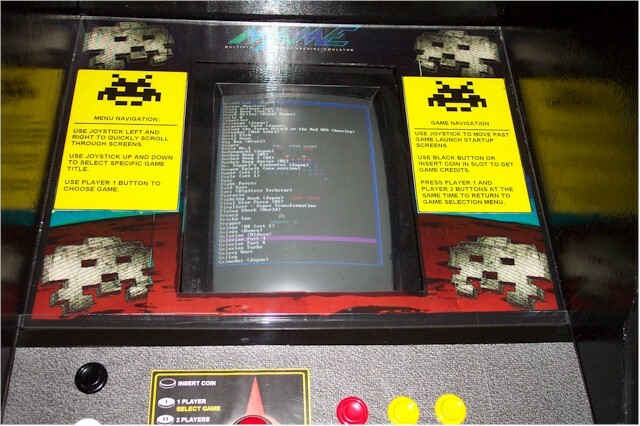 * The Pi used PiMame 7.0.10 as its oS and menu system which is a graphical step up from the PC DOS based Arcade OD menu system. 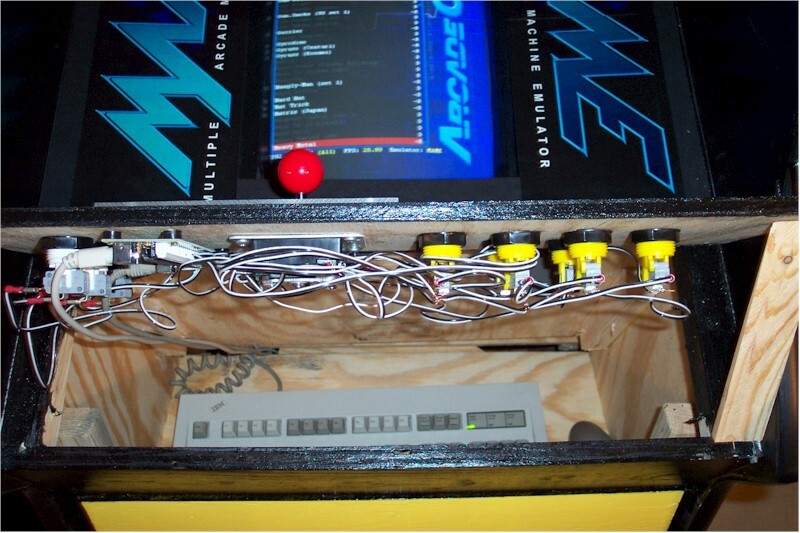 This video clip shows you the Raspberry Pi powered cabinet in action. 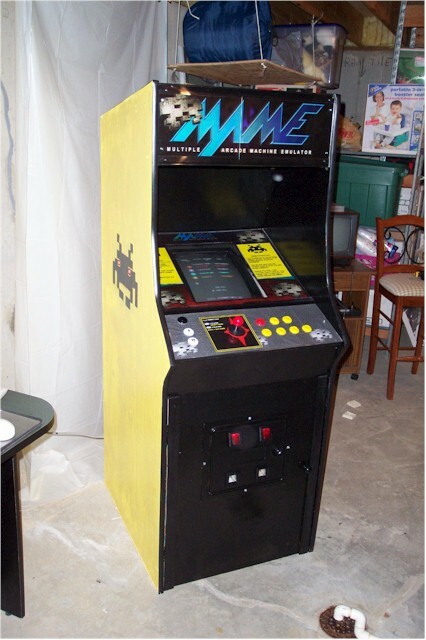 Cabinet Changed design from yellow to black... Blue marquee later changed to red/yellow design shown above. 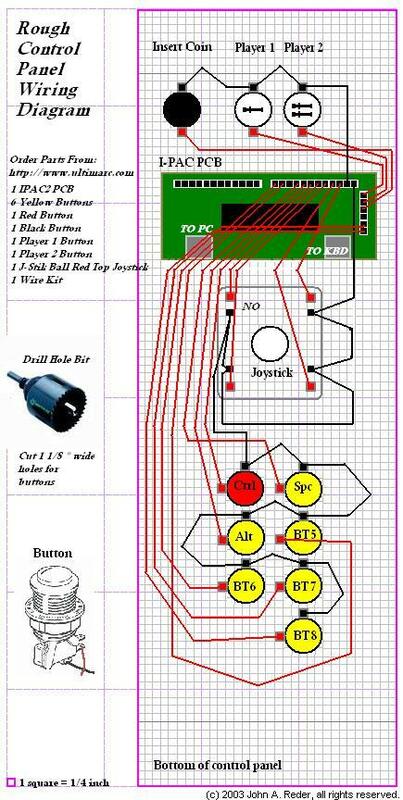 Below is a list of my costs, tools, software and materials I used to create it. 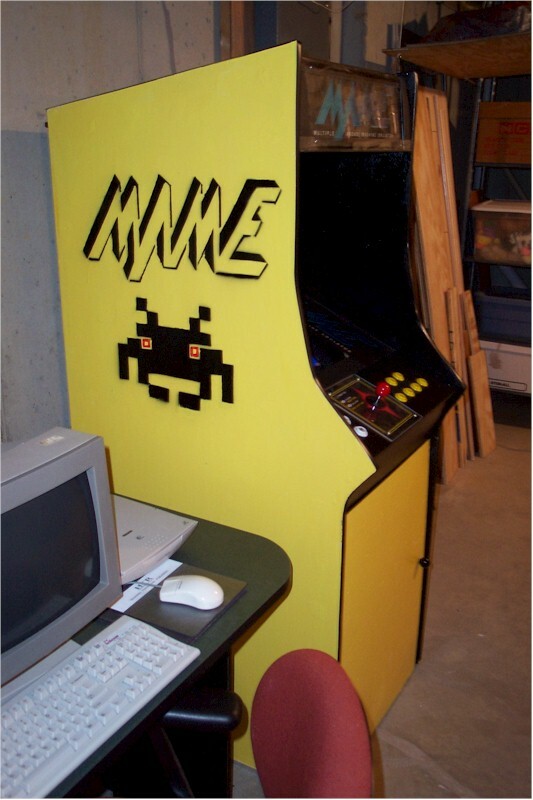 I�ve decided to share my home grown design documentation with anyone who visits this page hoping that someone other than me may benefit from my work and have as much fun as I did pursuing their arcade at home dream. 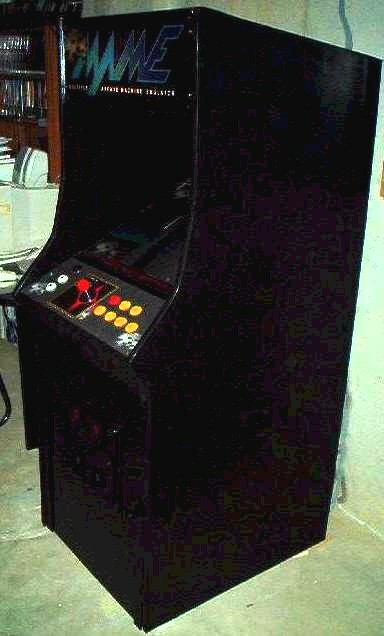 Spare PC 133Mhz or better w/Monitor & Speakers. 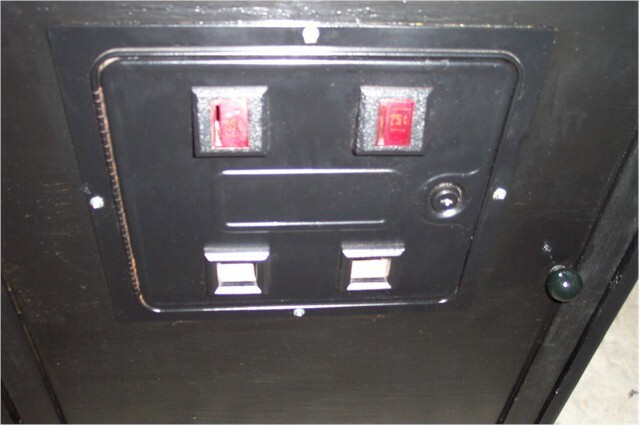 Price not included in total, it is assumed that you are recycling an old PC. 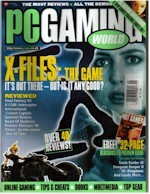 If you need to purchase a PC for this you may wish to consider looking into a XBOX or PlayStation2 (much cheaper!) 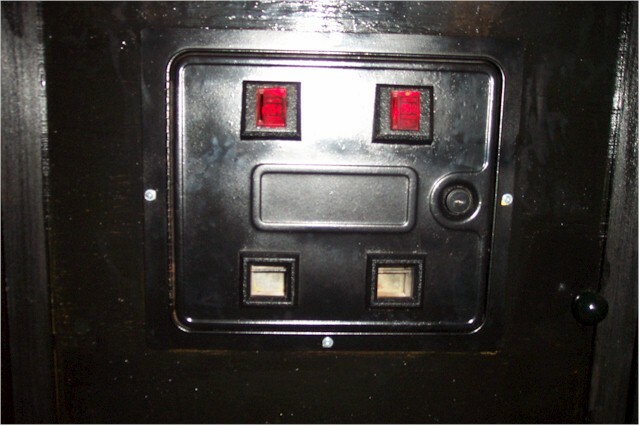 for the internal component with a color TV. 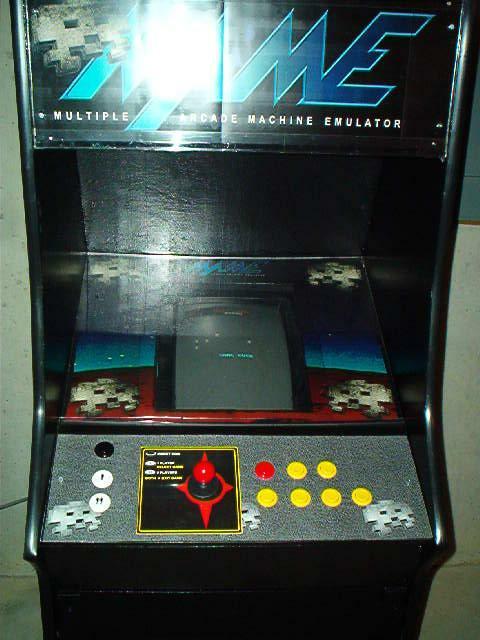 There are versions of MAME that run on moded versions of both of these systems. 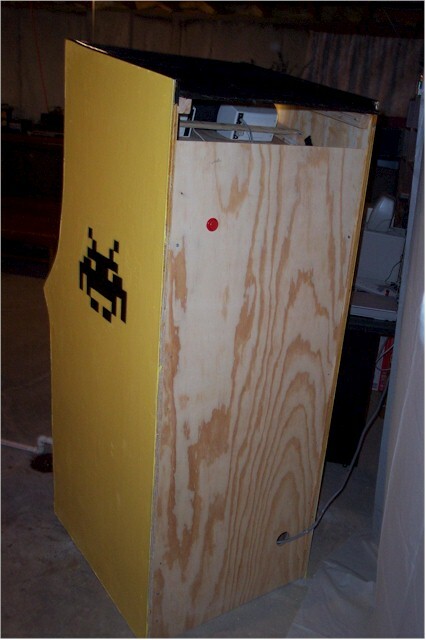 4x8� �" plywood commonly found in most hardware stores. 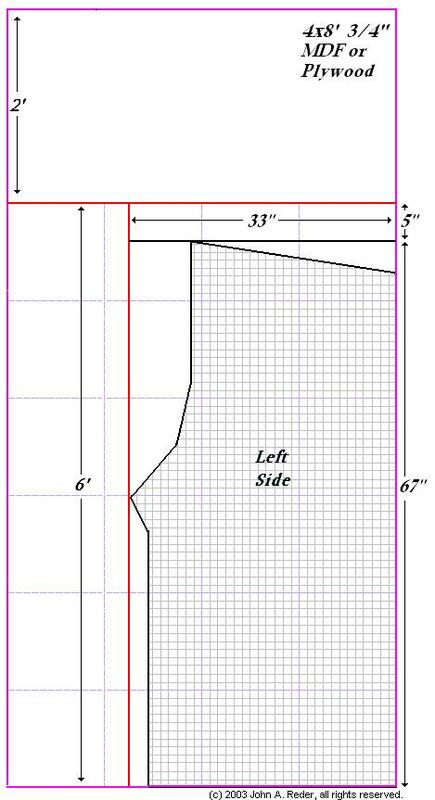 Most stores will do the Cutting for you (I went to Home Depot) but their rule was nothing under 12" so I had them make all of the cuts depicted by the red lines. 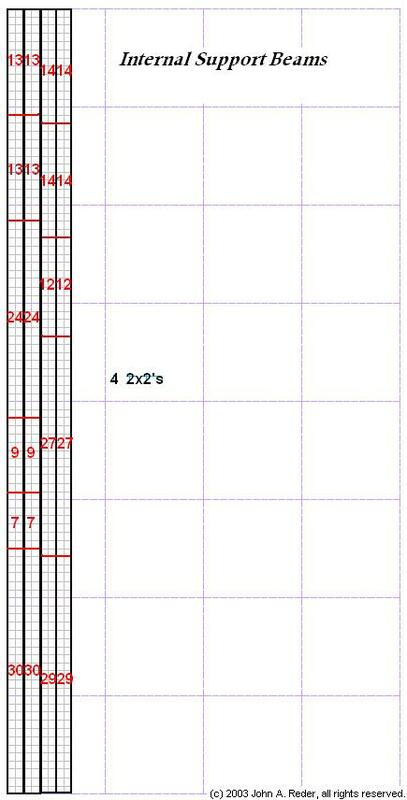 4 qty of 8� 2x2" commonly found in most hardware stores. 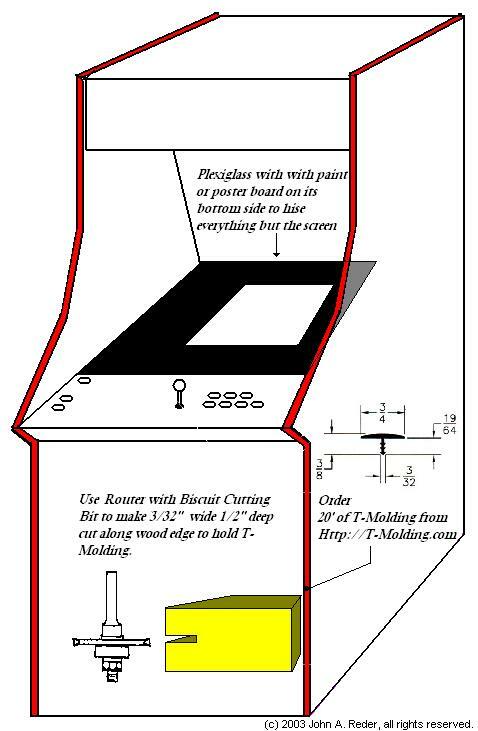 Depending on the accuracy of the wood cuts you may have to modify the ultimate placement of the support beams. 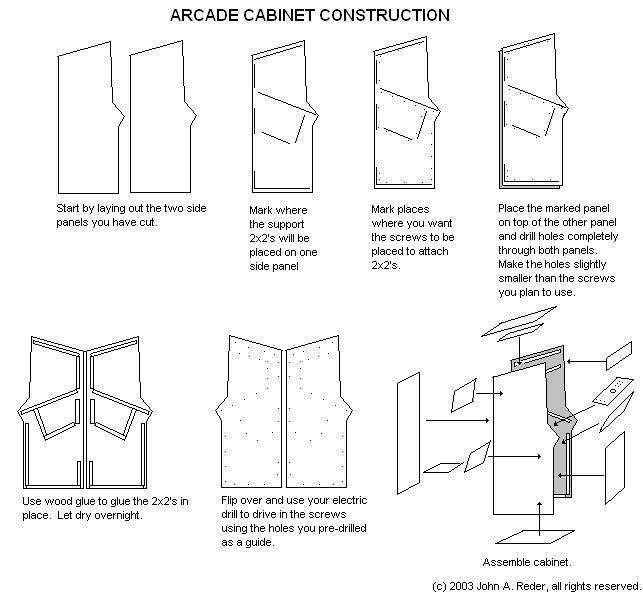 This explains how to mark and attach all of the main cabinet elements. 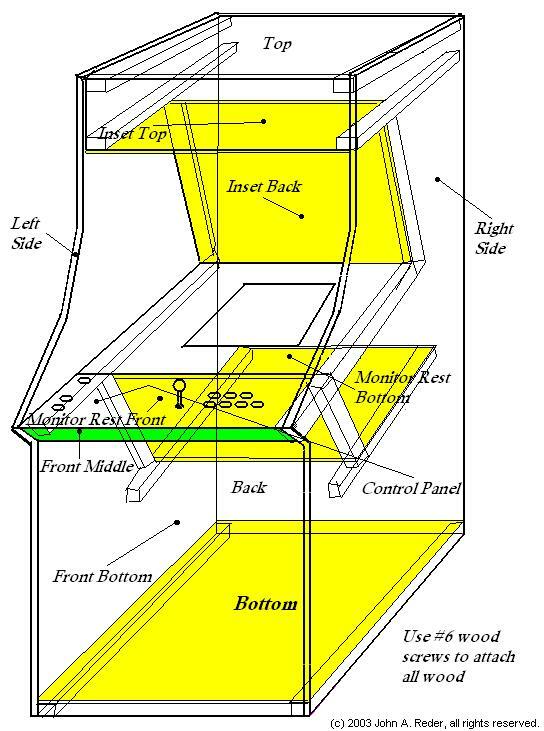 This explains the basic placement of the wood attached between the side panels. 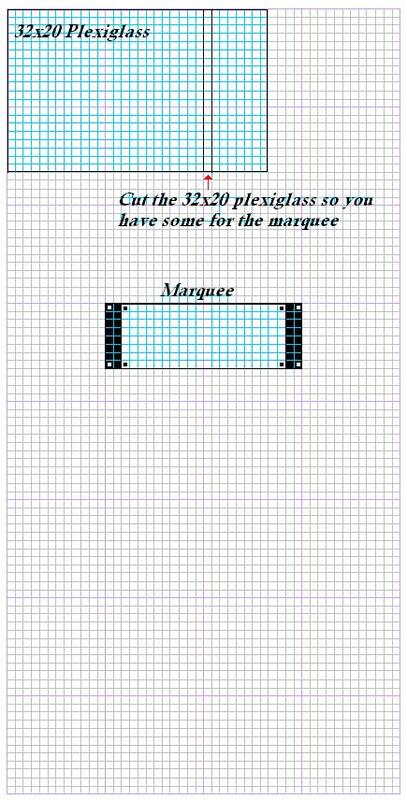 This explains where to cut the plexiglas for use in the next drawing. 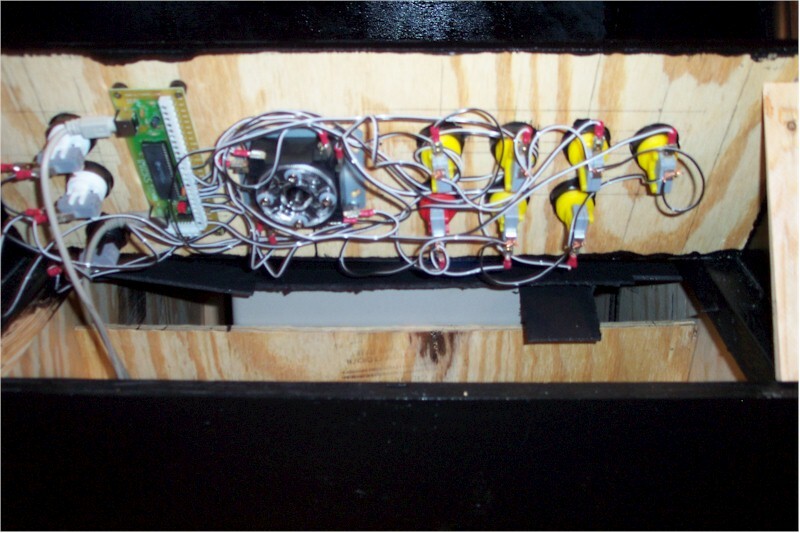 This illustrates the plexiglas placement and explains how to fasten the t-molding. 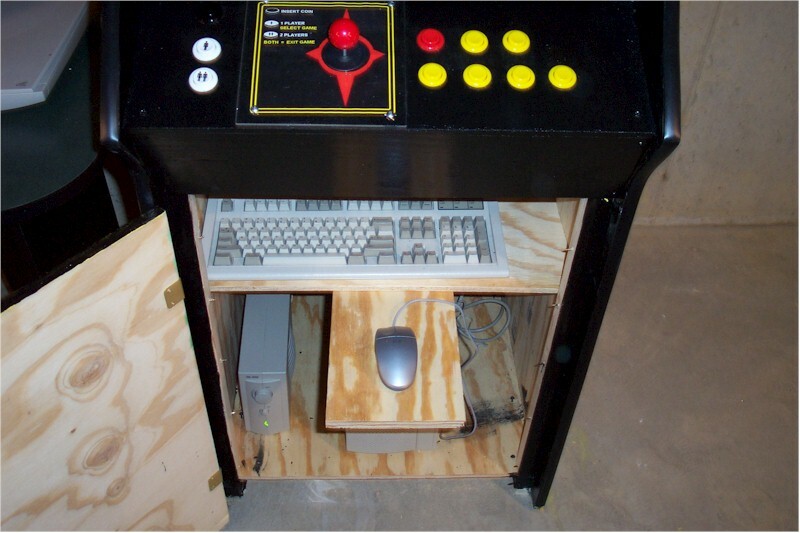 This illustrates how a typical desktop computer will be integrated within this cabinet. 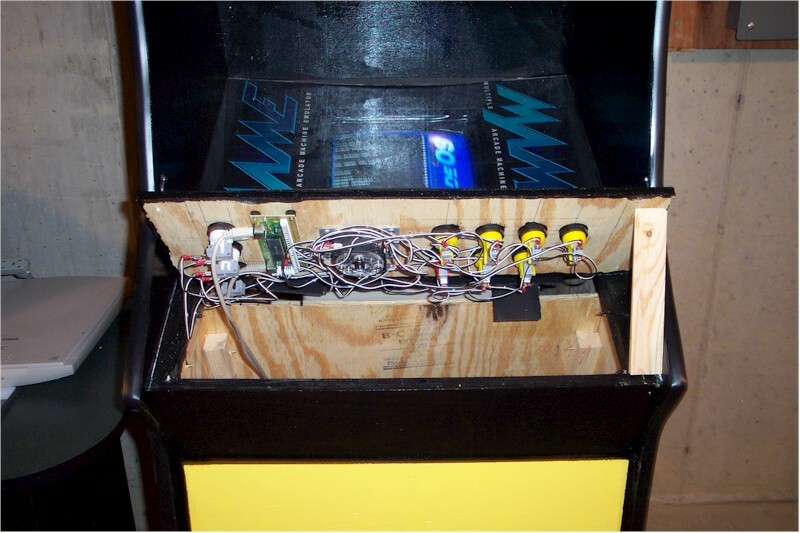 This illustrates how hardware will be wired within this cabinet. 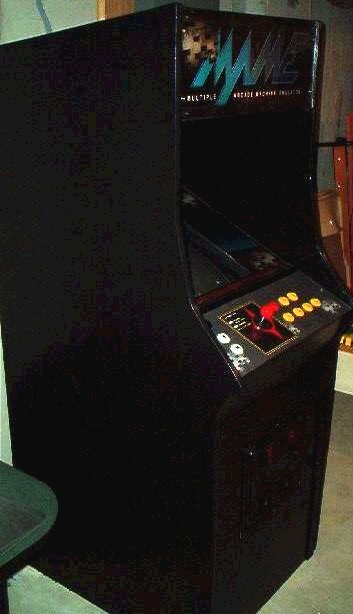 Current version is completely semi-gloss black on all sides. 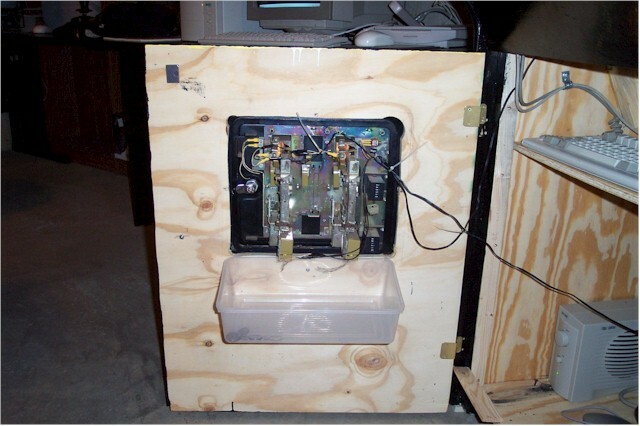 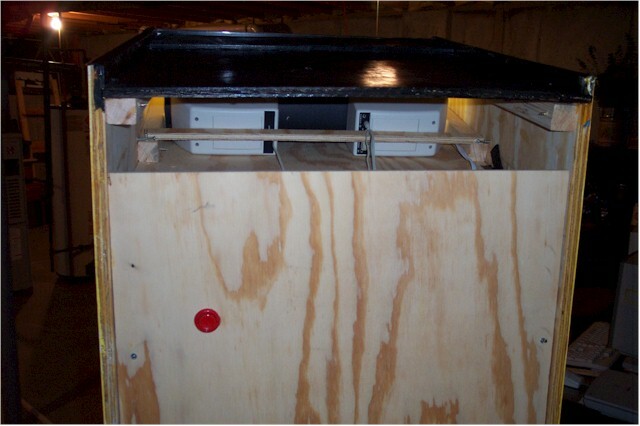 Q: It looks like you have plexiglas mounted on top of your control panel? 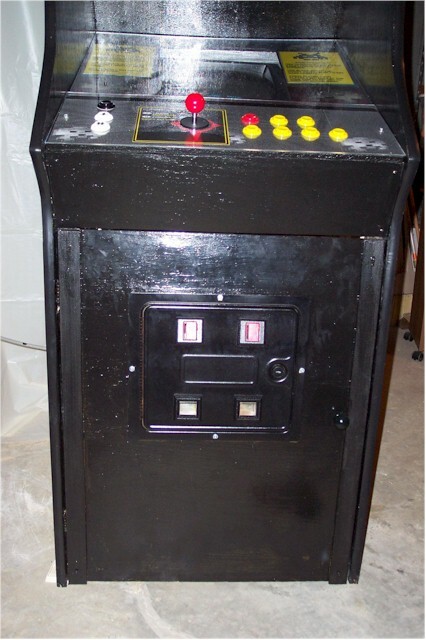 A: I didn't like how the simple black painted wood looked and felt so I used a sheet of plexiglas on the top (I had to size it and drill the 11 [1 1/8"] holes in it to match the wood panel). 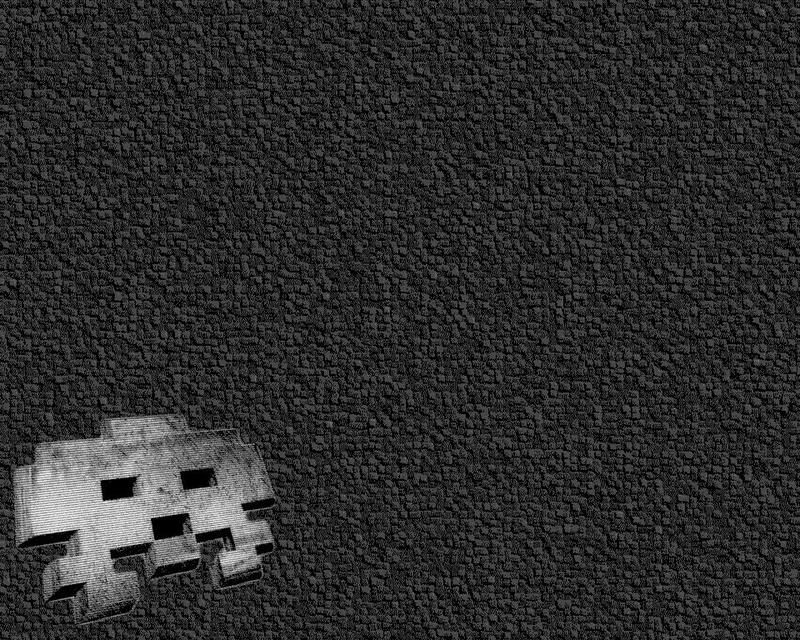 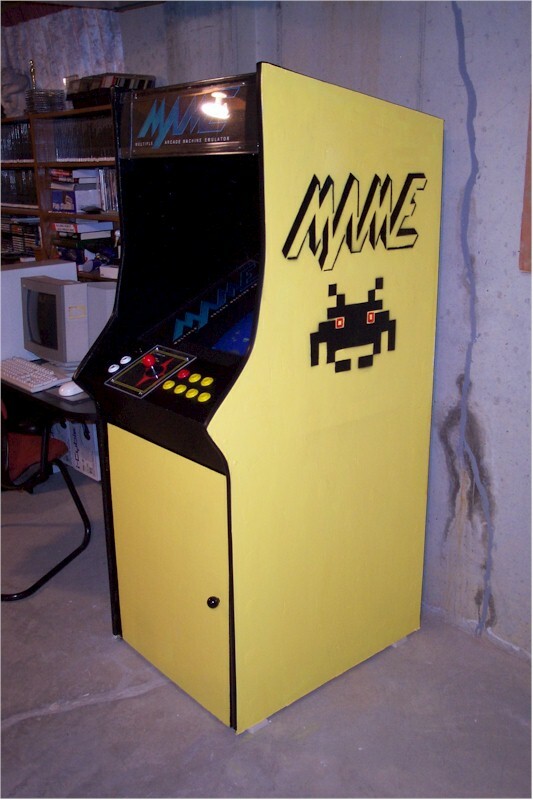 This allowed me to insert some simple printed artwork under it to give it a more polished look. 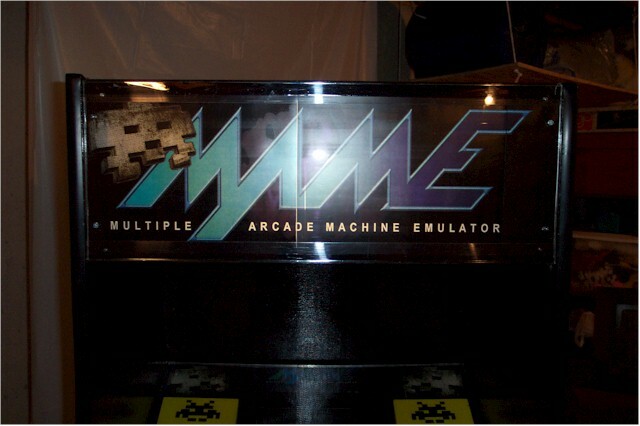 Q: Regarding The MAME marquee, did you just print a couple of transparencies on an ink jet printer and put them behind a clear sheet of plexiglas? 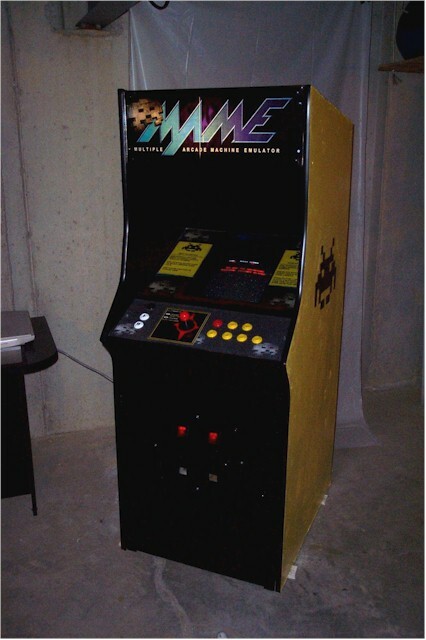 A: You guessed it, I printed the logo onto transparencies (3 sheets) and placed it between two sheets of Plexiglas. 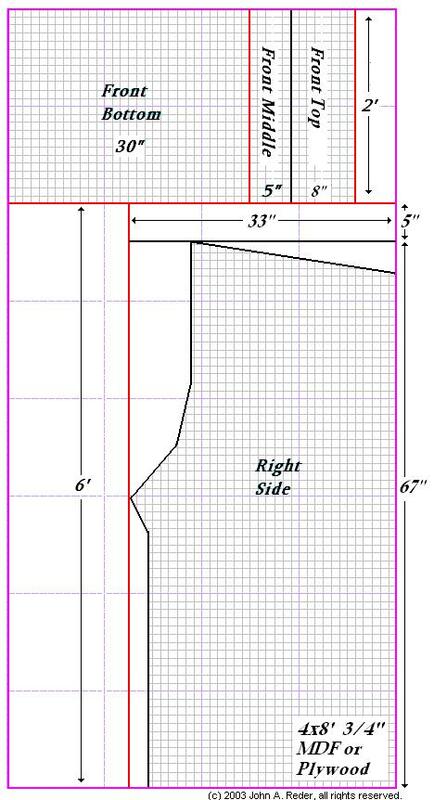 The top and bottom plastic edges are the typical 4' clear plastic corner wall guard you can get at the hardware store cut in half ($1.99). 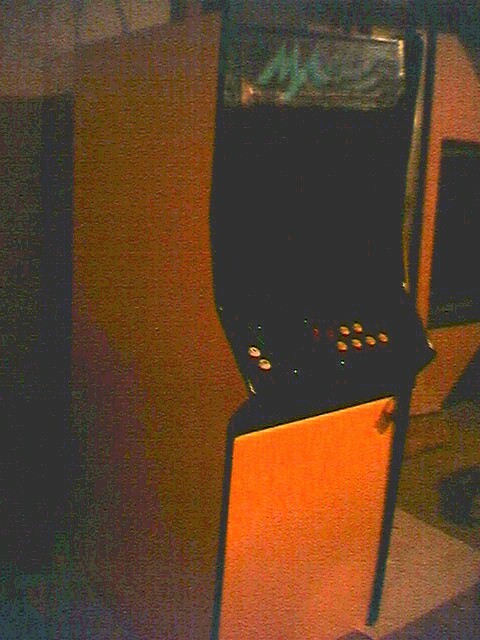 I placed a fluorescent light behind it ($12.00). 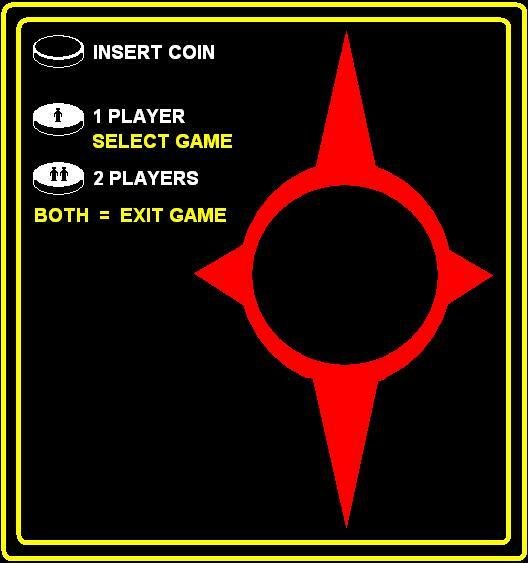 Q: How do you switch between games? 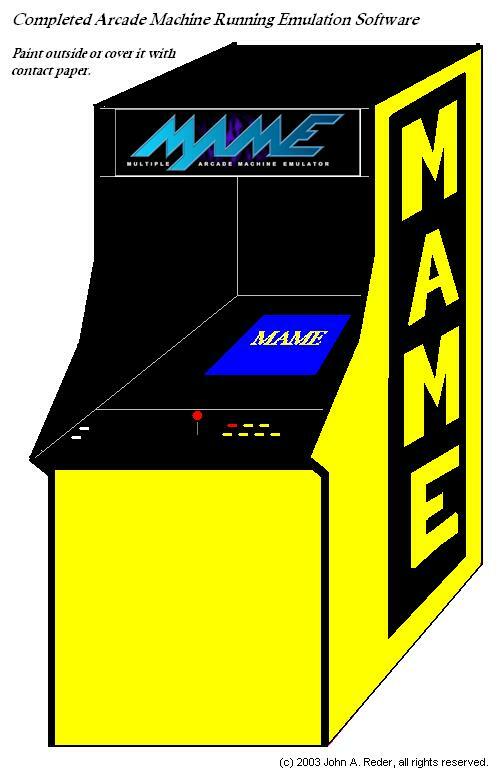 Q: Which MAME program do you use? 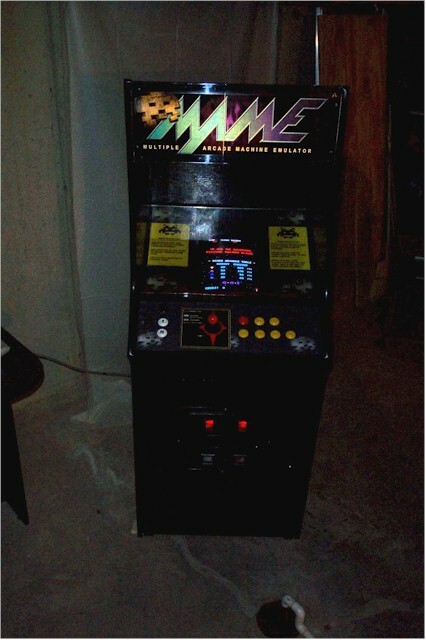 A: v37b I guess any DOS version of MAME will work fine. 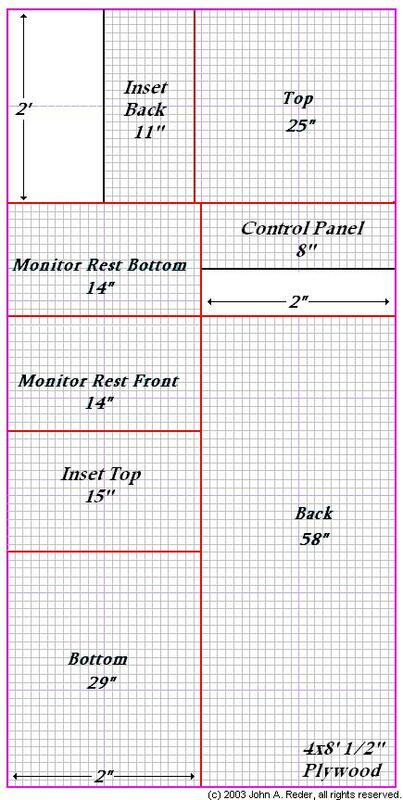 Q: It looks like the monitor is mounted 90 from upright? 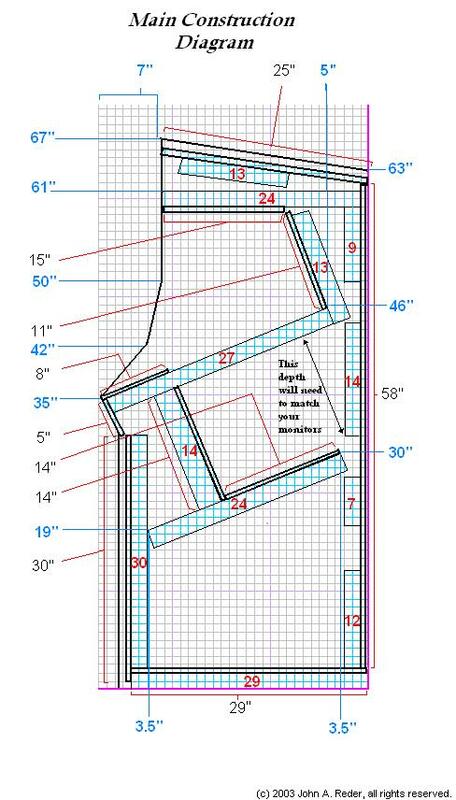 If so, how did you straighten out the picture to be upright? 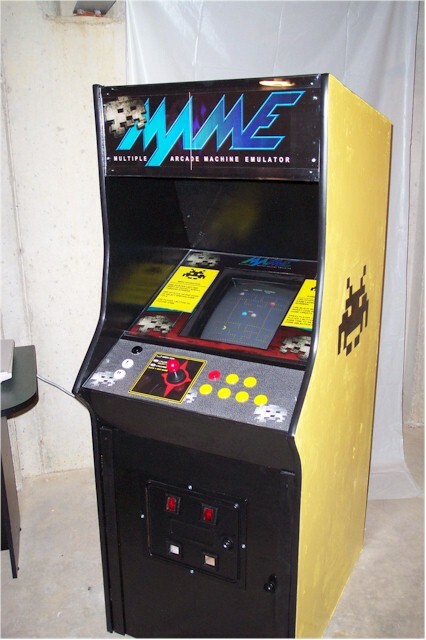 A: You can set that in the ArcadeOS setup, it calls MAME with a switch that tells it to rotate the screen. 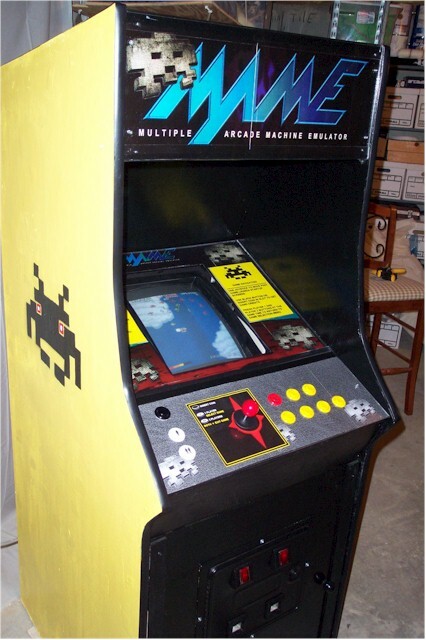 Q: Did you ever consider buying an old arcade machine just for the box? 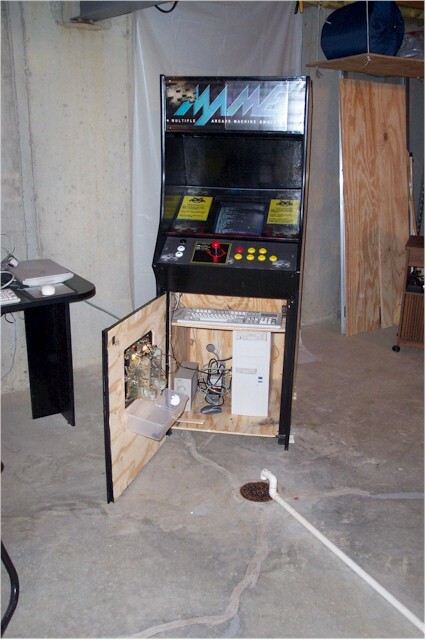 A: Yes, but the dealers here in Cincy wanted at least $1000+ for cabinets (even the broken ones). 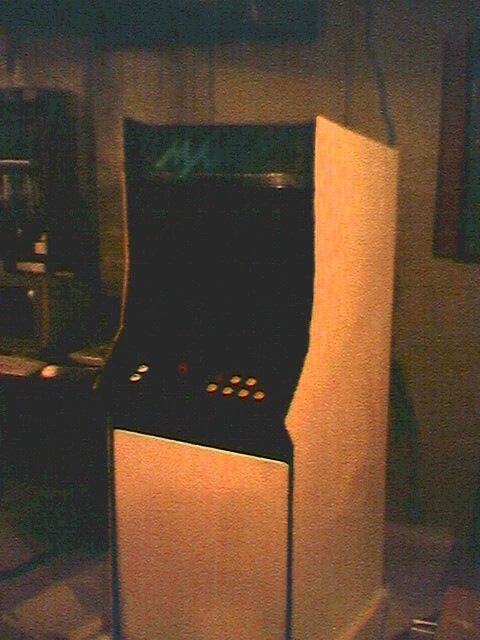 I saw some on e-bay for around $400 but with $150 in shipping I decided to build my own. 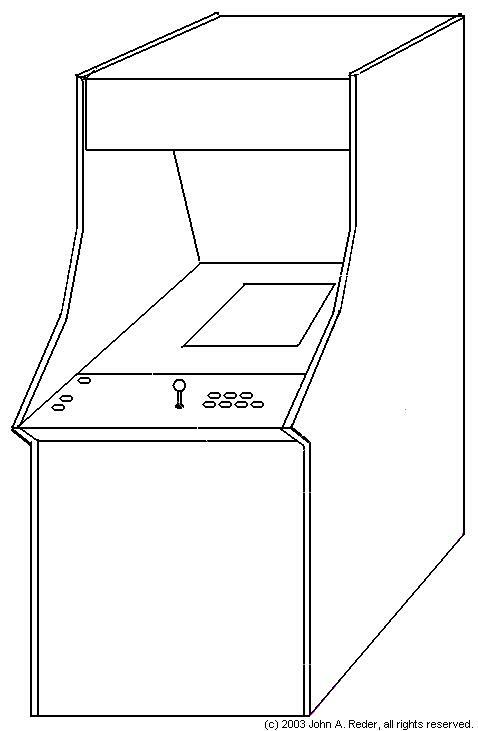 Q: How did you do the graphics? 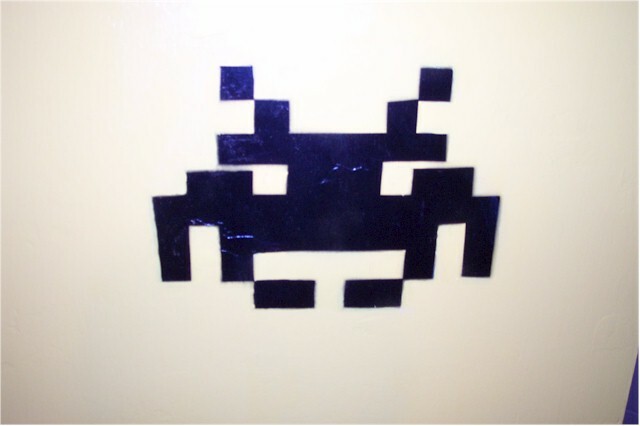 Stencils? 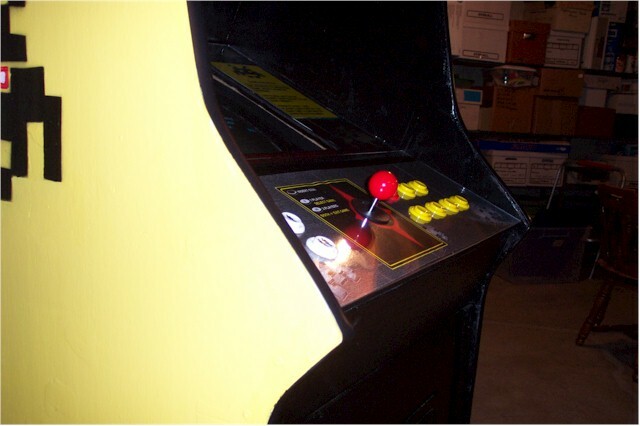 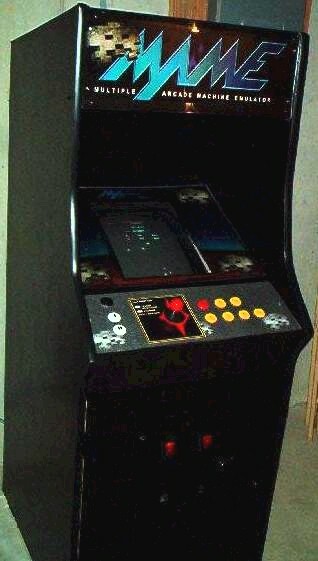 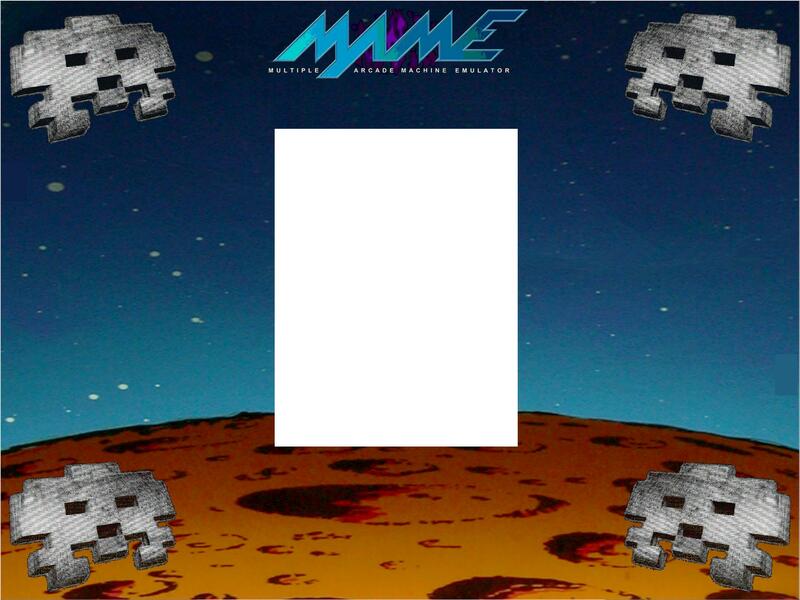 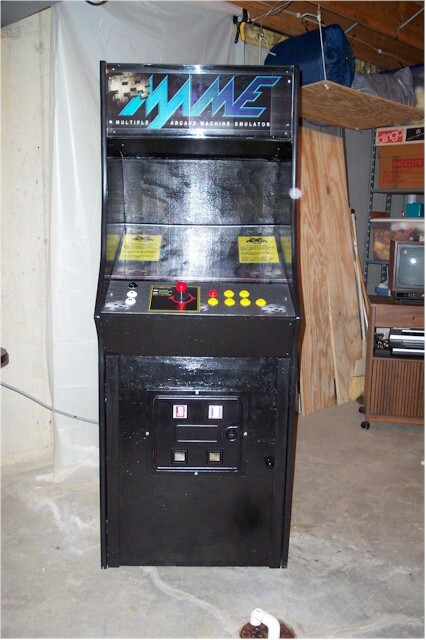 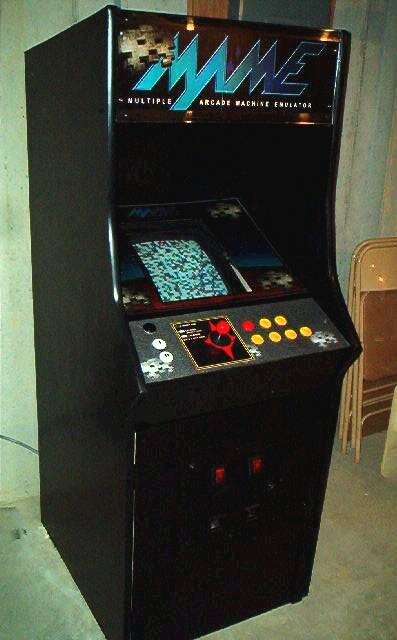 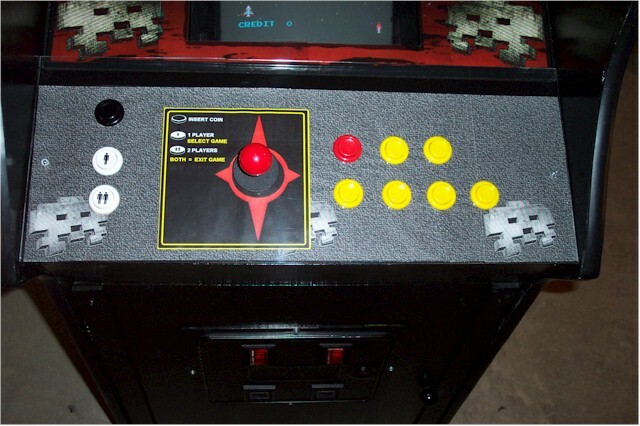 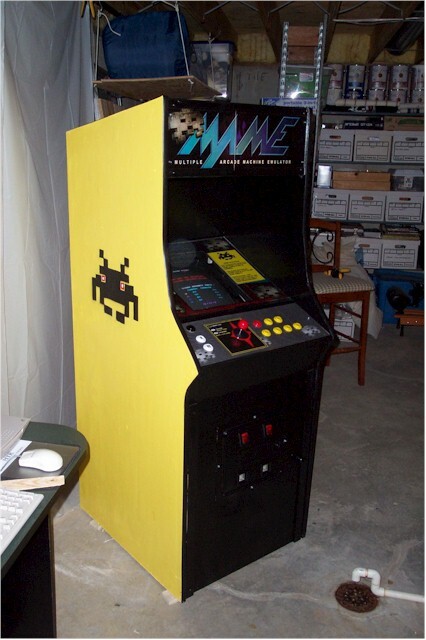 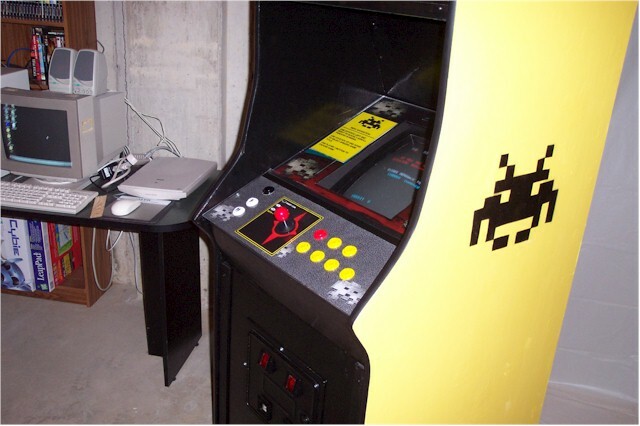 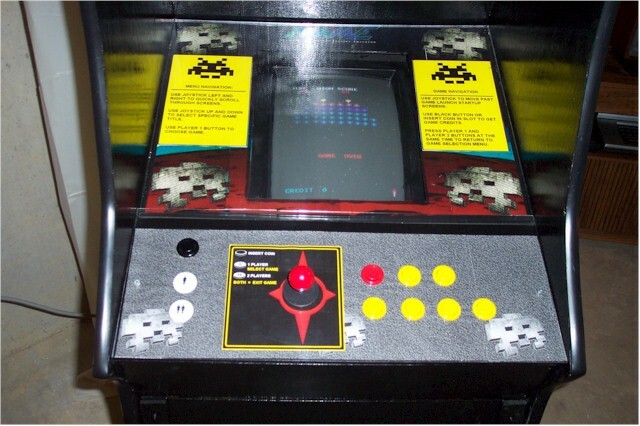 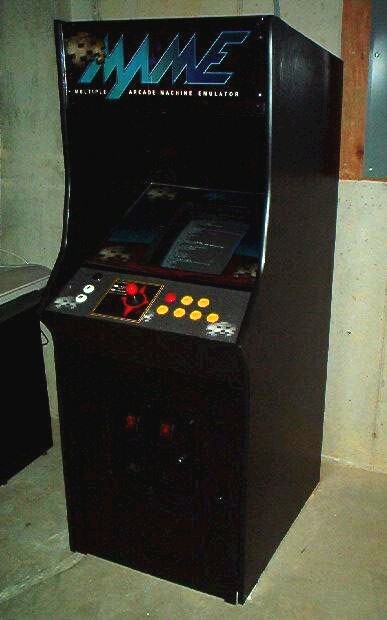 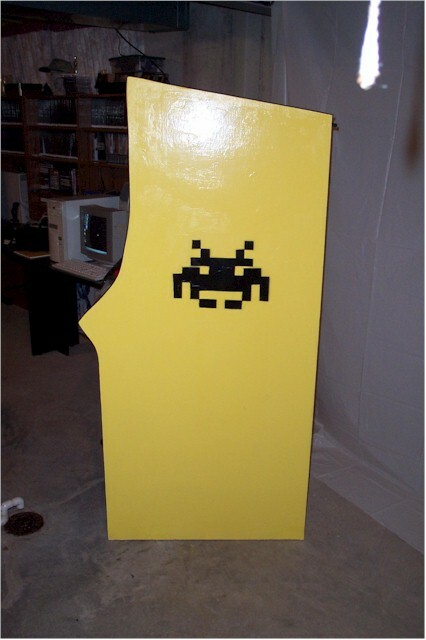 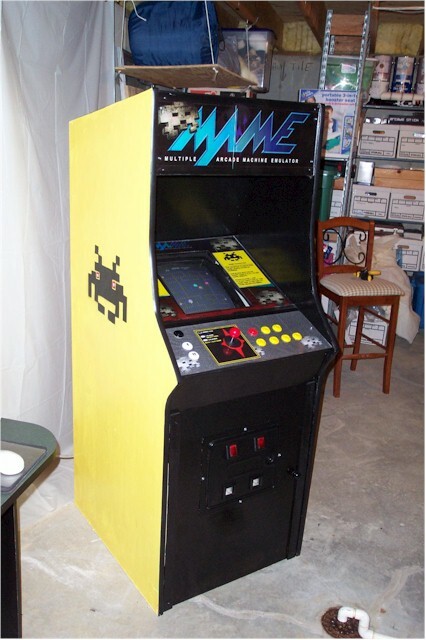 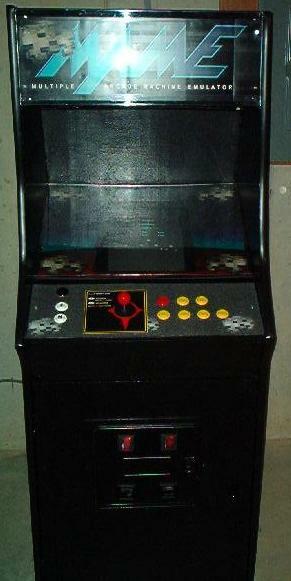 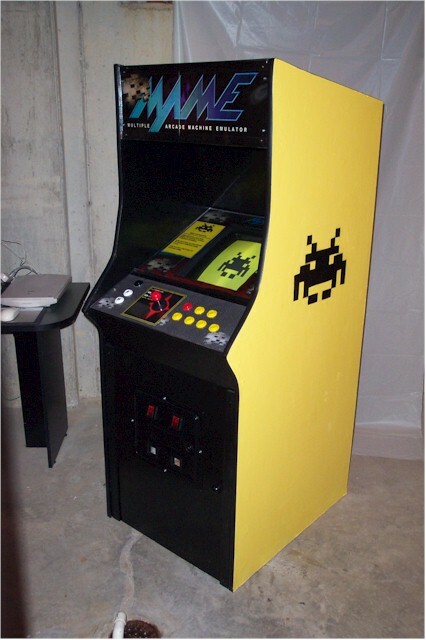 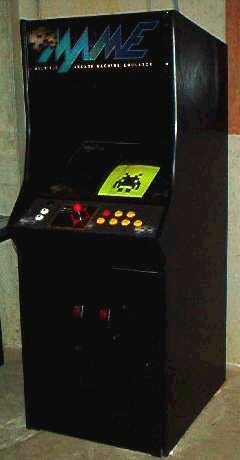 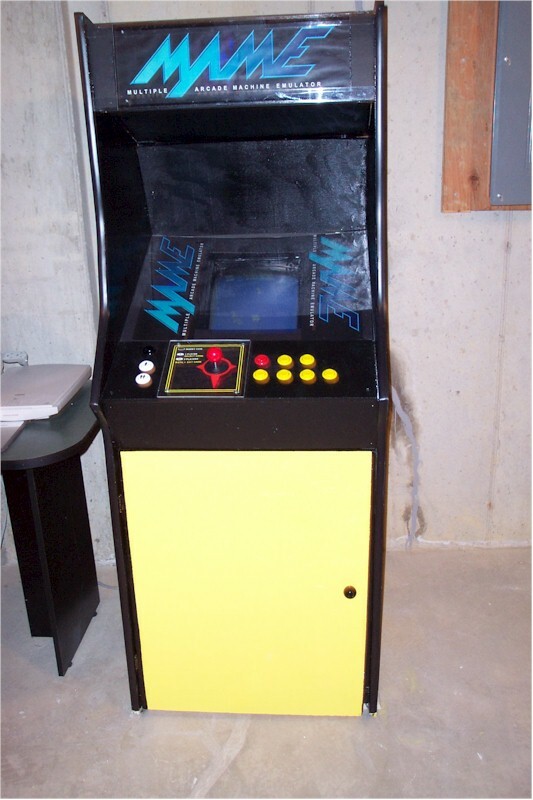 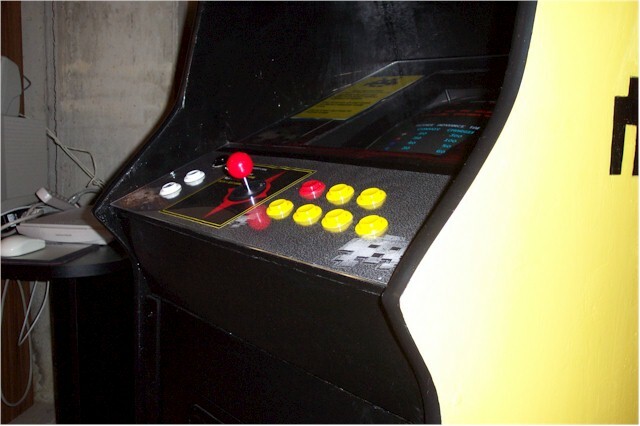 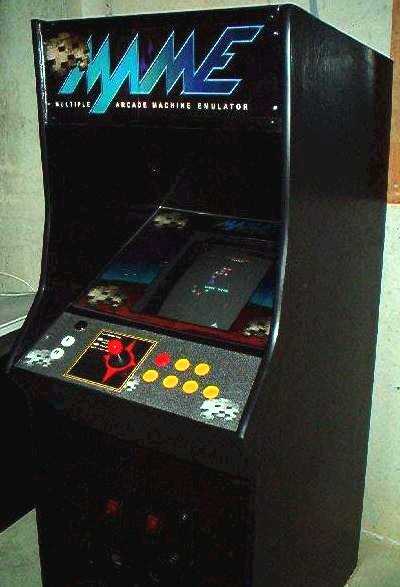 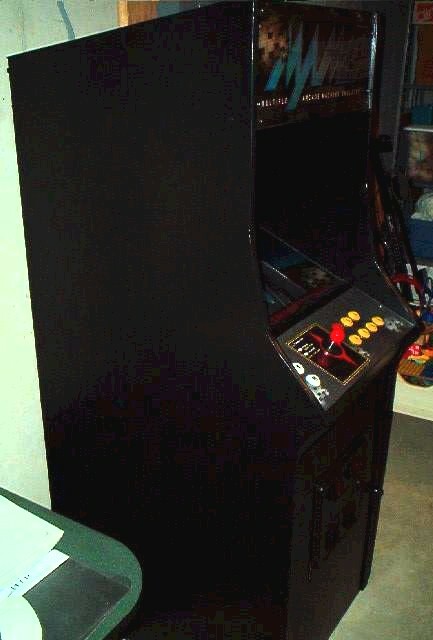 A: Yes, I removed the stenciled MAME name on the sides and left only the Space Invader icon. 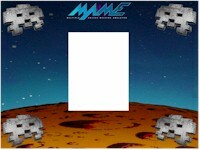 Q: What are the PC specifications? 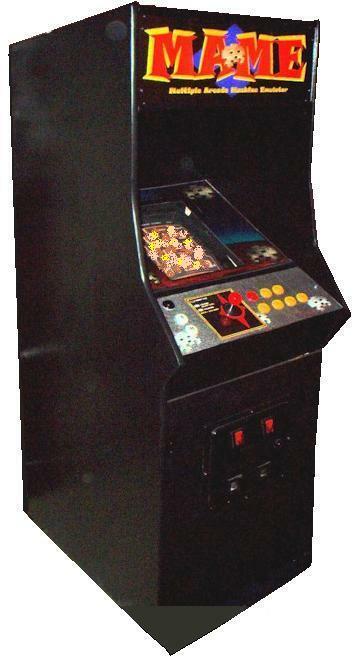 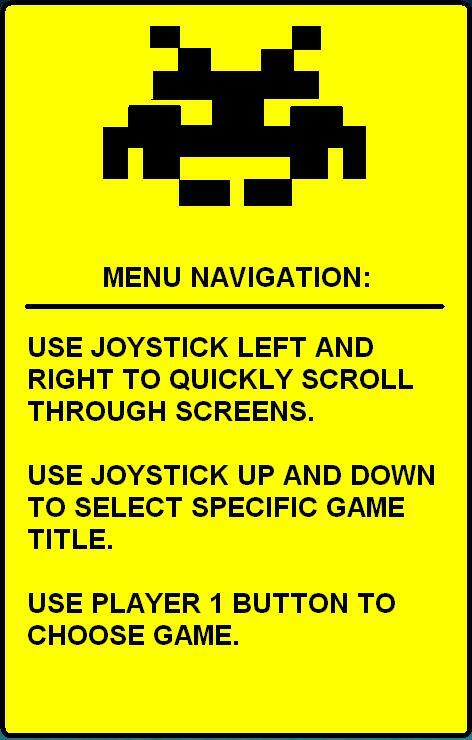 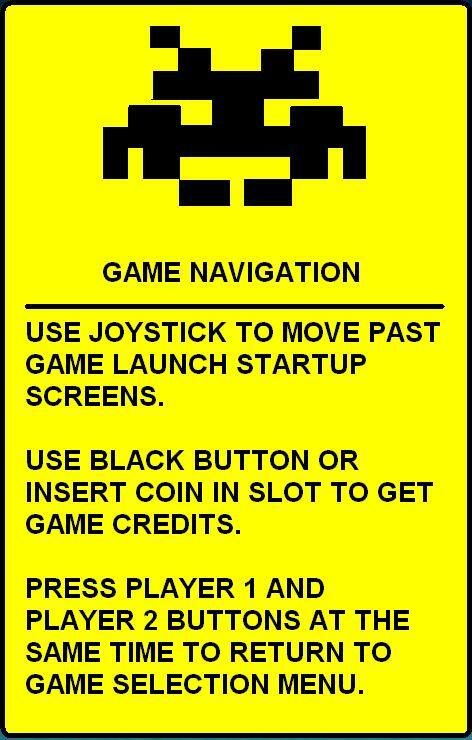 -It's autoexec.bat file simply launches ArcadeOS which uses my joystick/fire buttons to navigate and select the desired game.